Once a Jungle Cruise skipper, always a Jungle Cruise skipper. Disney Legend Bill "Sully" Sullivan. 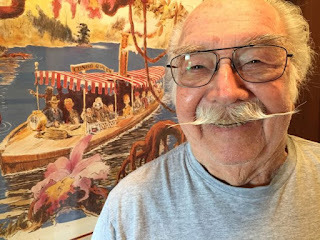 In his memoir, From Jungle Cruise Skipper to Disney Legend: 40 Years of Magical Memories at Disney, Sully talks about the many adventures he had during his lengthy career, and he’s going to share a few of them with us today. In part one of our two-part conversation Sully tells us about Walt, the early days of Disneyland, and the four principles that guided Sully throughout his career. Sully Sullivan is my guest today in The Mouse Castle Lounge.